Isidre Esteve arrived back home to Spain after travelling from Córdoba, Argentina, where the Dakar 2018 wrapped up last Saturday. 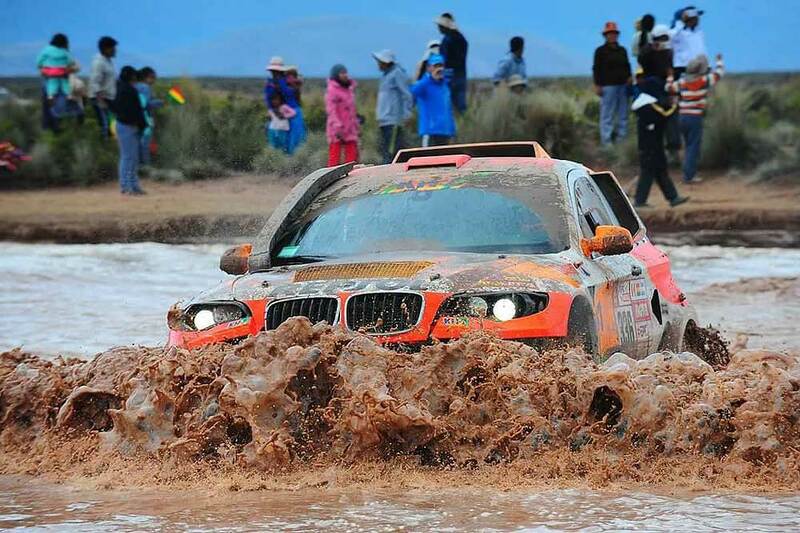 The Repsol Rally Team driver said he is "very happy" with his performance and "ready and raring to go back" to the toughest race in the world, which he finished in 21st place this year in his BMWX6-lookalike BV6 prototype from Sodicars Racing with adapted controls on the steering wheel. "I will definitely come back next year to continue this exciting project and keep improving, something that wouldn't be possible without the support of my sponsors. Our aim is to get more and more competitive each year until we are capable of achieving in a car what we did on a motorbike before the accident", said the Lérida-born driver upon his arrival at Barcelona airport, alongside his co-driver Txema Villalobos, his partner and personal trainer Lidia Guerrero, and his trusted mechanic David Pigem. As for the 2018 rally that came to a close just a few days ago, Isidre Esteve stressed the high level of difficulty, especially during the first few stages: "This has been the toughest Dakar in South America without a doubt. The route was highly demanding, with some dunes that were very difficult to climb, but the team performed exceptionally every single day, allowing us to drive the car in the best conditions possible and even have a laugh along the way". "The dunes in Peru were very demanding and difficult. At times I didn't think we were going to get to the top. The key was finding the right line, having enough inertia, and just going for it. 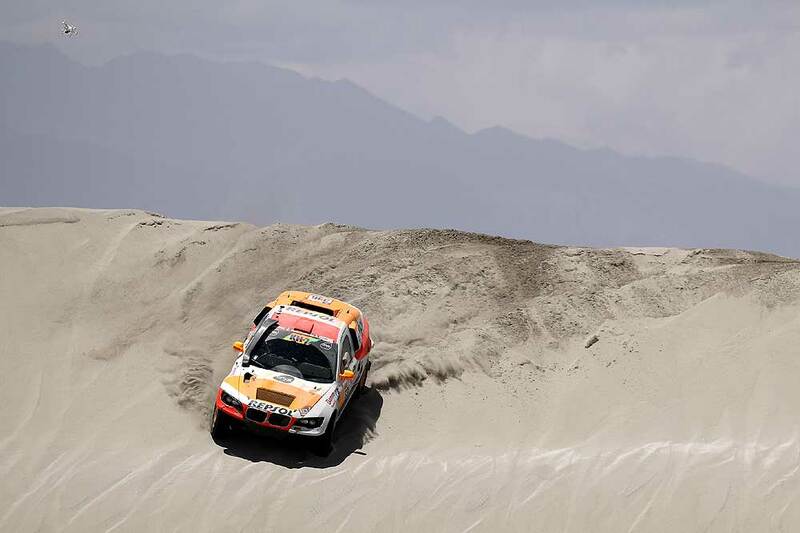 The route through Argentina and Bolivia was more predictable, but the difficult dunes and dips in Pisco at the start of the rally were a pleasant surprise and really put us to the test, added the driver, who is sponsored by Repsol and Onyx Seguros. Isidre Esteve is able to say for the second year in a row that, in the Dakar, he is just like any other driver: "My disability is not an issue in this competition, which is a true example of inclusive sport. We all face the same challenge and are classified in the same ranking. Thanks to the electronic controls on the steering wheel made by Guidosimplex and my Smart Cushion, during the race I can compete on an equal footing with all my rivals. The only difference is that when we get stuck or break down, I don't get out of the car to help my co-driver Txeman Villalobos, but, thankfully, we've not had many serious problems and he has done an amazing job". The driver from Oliana has performed spectacularly in the Dakar 2018. After travelling almost 9,000 kilometres through Peru, Bolivia, and Argentina, he reached 21st place in the overall ranking and 4th in his category, T1.2 (off-road modified diesel 4x4). He was also the second best Spanish competitor in a car, behind the overall winner Carlos Sainz. A real achievement. "Our aim was to finish in the top 20 and we're really happy to have come so close. The best thing is knowing that we gave our all in each and every stage", said the driver. As soon as he set foot on Spanish soil and before he had even had time to celebrate his victory, Isidre Esteve already started thinking about next year's rally: Our challenge in 2019 will be to continue getting better, maybe with the same car seeing as it has got so much potential. In this race it's the details that are important. If we can improve on these aspects we'll be even more competitive, but we're aware that the top 20 is full of official cars and amazing drivers. It's tough competition, and that's exactly where we want to be."